« Video: What is the Torah’s Magical Therapy? From the time my husband and I got married in 1986, we wanted children, but five years passed and I had still not gotten pregnant. Naturally, we sought medical advice, but the doctors had nothing to tell us because they could find nothing wrong. Everything was fine – there was no reason why I shouldn’t get pregnant. Then our friend, Judah Wernick, suggested we go to the Lubavitcher Rebbe to ask for a blessing. But I resisted going to see the Rebbe because I just didn’t believe in miracle workers. Still, Judah kept telling me, “You have to go … you have to go … you have to go.” After a period of time, he wore me down, and I agreed. Also my Israeli husband, who was having a hard time finding employment in the US – he worked as a taxi driver and was very unhappy doing that – wanted to ask for a blessing for a better livelihood. It was in 1991 that we went to see the Rebbe – on a Sunday, when he was giving out dollars for charity. I was astonished to see how many people were waiting in line, but Judah had arranged for Rabbi Yerachmiel Benjaminson to take us through a back door. Next thing I knew, we were in front of the Rebbe asking for a blessing for children. Although the meeting with the Rebbe had lasted only a few moments, it affected us deeply. My husband said afterwards that – although he had met many high-powered people in his life – when he looked into the Rebbe’s piercing blue eyes, he felt so intimidated that he started trembling; he sensed that the Rebbe was looking right into him. Usually never at a loss for words, he could not speak. I, however, did not hesitate to ask the Rebbe for a blessing for children and left feeling very, very happy. The Rebbe had imbued me with complete confidence that in the near future I would have children. But, seven months later, I still had not gotten pregnant. By this time, I was no stranger to Lubavitch. 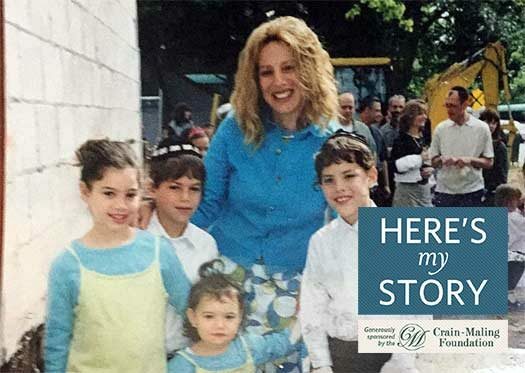 I was then working at Grey Advertising and, through my work with Tzivos Hashem, the Chabad youth group – on the promotion of the Jewish Experience, the precursor to the Jewish Children’s Museum – I became friendly with Rabbi Benjaminson as well as with Mrs. Devorah Halberstam. Mrs. Halberstam actually came to my office to introduce me to the study of Chassidic teachings, and it was Rabbi Benjaminson who suggested that my husband and I return to the Rebbe for another blessing. When it came my turn to approach the Rebbe, I was crying. “Rebbe I want to ask you for a blessing for children,” I pleaded. No sooner had we left the Rebbe’s presence that we rushed to the bookstore across the street to buy a book about the Laws of Family Purity. We found one that had text in both Hebrew (for my husband) and English (for me). And we began learning from this book together that very night and following the laws explained there. The very next month, I found that I was pregnant with triplets – two boys and a girl. When the doctor told my husband the news, he went into such a state of shock that he actually fainted! But we still did the ultrasound which showed that the Rebbe was right – there was nothing amiss at all. And, almost nine months exactly to the day from the Rebbe’s blessing, I gave birth to triplets, which my husband and I cannot help but associate with the three dollars we each received from the Rebbe. We named them Moshe Natan, Avraham Shlomo and Channah Leah. I must also mention that our friend Judah, who initially brought us to the Rebbe, had also requested a blessing for children, also received three dollars from the Rebbe, and his wife gave birth to triplets, as well. 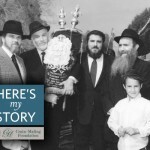 When our triplets were ten months old, the blessing that my husband had received from the Rebbe for livelihood came to fruition. Suddenly, an opportunity came up to become involved in airport security. We ended up starting a nationwide security company, ISS Action, and that has been the source of our livelihood for the past twenty-five years. 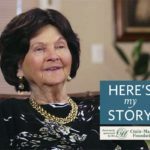 Meanwhile, I experienced a number of miscarriages, and it was not until six years later that I gave birth to our fourth child – our daughter Golda, who was born when I was forty years old. At that time, it was discovered that I had a blood disorder which causes abnormal clotting during pregnancy. I should have been given medication for this, and the doctors were amazed that I was able to sustain the previous pregnancy without it – and give birth to triplets no less. As far as I am concerned, it was a total miracle. My children appreciate that their birth was extraordinary. They feel that they are the Rebbe’s children because without his blessing they would not be here at all, and this gives them an uncommon sense of empowerment. As amazing as it all was, I must admit that I have wondered why it took some time for the blessing to come to fruition. When I asked this question of Chabad rabbis, I was told that you have to make yourself a vessel in order for a blessing to descend. 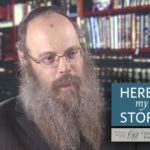 When I went to the Rebbe the second time, I was totally ready to do whatever was required – I remember that I was crying and begging. He then told me to learn and keep the Laws of Family Purity. And this time, the blessing took hold. Mrs. Yocheved Daphna and her husband Yehudah reside in Five Towns, New York, where they were instrumental in founding Chabad of the Five Towns. They and their children were interviewed in June, 2013. Needs a correction, because it says the Rebbe gave her two dollars. Unless the Rebbe gave her three dollars the second time she came to the Rebbe.